I had to show it to you because it is my first attempt at sewing on paper. This is the one with the straightest lines. :) lol I've been up all night so keep that in mind. ALL the papers used are Bazzill. Ribbon is from a long-time stash. 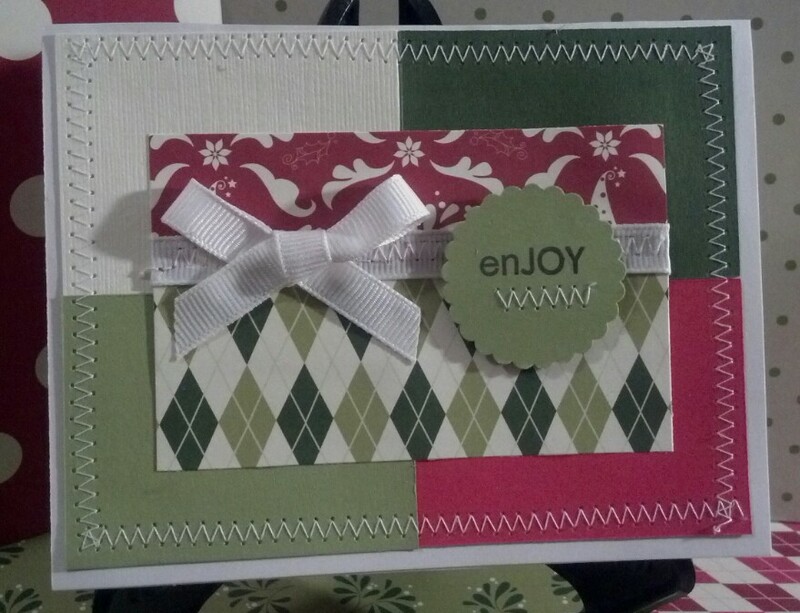 The "enJOY" is from a Raisin Boat stamp set, Holiday Hangups. I punched the scalloped circle and stuck foam tape on the back to make it pop up off the page. I happen to think it came out pretty gosh darn cute! I haven't slept all night. Did I say that already? Another wonderful card I did enjoy it.